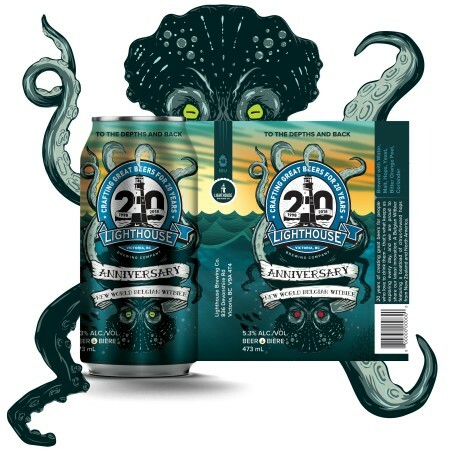 VICTORIA, BC – Lighthouse Brewing has announced the release of a new beer to mark its upcoming 20th anniversary. Our 20th Anniversary brew is a mash-up of everything we love about craft beer. Thoughtfully constructed, highly drinkable, balanced profile, and generously hopped using a blend of “New World” hops from Canada, the States and New Zealand to create inviting tropical fruit flavours we have become known for over the years. This is the beer that we want to drink on our twentieth anniversary (August 17)! New World Belgian Witbier will be available soon in 4-packs of 473 ml cans at select private liquor stores in British Columbia.